Place : Ho Chi Minh City ,Viet Delta Co ,Viet Nam. 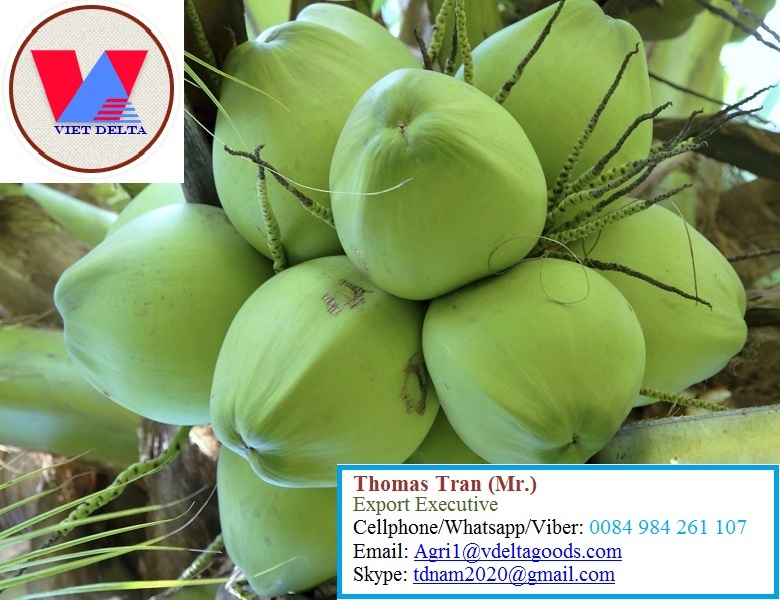 Viet Delta is a local farmers,manufacturing Agro products for exporting, wholesale and supermarket chain best quality products tropics and special products of Vietnam. Our one of the product is Banana. Banana is a fruit rich in nutrients beneficial to health, many people prefer. In addition, bananas are also preferred for convenience: you eat do not need to use a knife, just peel a layer of skin is completely hygienic. Nutritional value of bananas are plentiful. For every 100g of meat banana contains 1.2 g protein, 0.5 g fat, 19.5 g carbohydrate, 0.9 g fiber, 9mg calcium, 31mg phosphorus, 0.6 mg iron, and vitamins B, C, E.
Viet delta went into operation and development speed quickly. This is one of leading company in Ho Chi Minh City and south of Viet Nam.Have been nearly 10 year manufacturing, distributing and exporting products, Viet Delta has the experience to meet your needs. The main products of the Viet Delta such as coconuts, tapioca (cassava), spices, seaweed, fruits, vegetable, special products and Agri products related and waste of tapioca, coconut, nuts ... and so on. Viet Delta 's products have been exported all over the world: China, Taiwan, Japan, Korea, Singapore, Saudi Arabia, Russia, Britain, France, Germany, Turkey, India , Egypt, South Africa, Algeria, Paraguay, Uruguay, United States, Australia, Malaysia.